THREE WEEKS BEFORE elections, Angela Merkel appeared to be powering ahead today to a possible fourth term as chancellor of Germany, after her rival Martin Schulz failed to halt her advance in a crucial televised debate. Last night’s prime-time TV clash had been billed as Schulz’s last chance to sway millions to his cause and halt a devastating popularity slide. But polls following the 90-minute showdown gave Merkel the clear edge over Schulz, a former European Parliament chief. “Merkel came out as sure, Schulz was hardly able to land a punch. The candidate is an honourable man. But being honourable alone won’t make one chancellor,” wrote Sueddeutsche daily commentator Heribert Prantl. With millions of voters still undecided, Schulz had been looking to the debate to erode the commanding 17 point lead of Merkel’s CDU party and their Bavarian CSU allies ahead of the 24 September polls. Schulz, who had previously complained that Merkel was lulling voters to sleep with her refusal to engage in combative debate, went on the offensive quickly on the hot-button issue of migration. He accused Merkel of failing to coordinate plans with EU neighbours when she decided to open Germany’s borders in 2015 to allow in refugees, many from war-torn Syria and Iraq. But Merkel was not rattled, countering that, “in the life of a chancellor, there are moments when you have to make a quick decision”. And as Schulz voiced his wish to end EU membership talks with Turkey amid escalating tensions with Ankara, Merkel stole the issue from under his feet as she said she did not “see them ever joining” the bloc. Together with EU counterparts, she will examine if “we can end these membership talks”, Merkel added. Merkel’s tough line comes after Ankara arrested two more German nationals for “political reasons”, according to Berlin. The plunge in bilateral relations began after Germany sharply criticised Ankara over the crackdown that followed last year’s failed coup attempt there. Opinion polls following the programme showed a clear victory for Merkel, with public broadcaster ARD saying 55% found her more convincing while 35% plumped for Schulz. A ZDF survey was closer but still had Merkel ahead with 32%, against 29% who thought Schulz performed better. Merkel “appeared to be more competent than in any previous duel. She was not brilliant, but sure. Schulz, on the other hand, was so stiff and dowdy, like Merkel was in previous duels,” wrote Prantl. But Schulz’s Social Democrats equally applauded the man who is known to be a fiery orator. Yesterday’s so-called “television duel” between the election campaign’s two leading candidates is a highlight of Germany’s electoral campaign season. A poll published earlier that day by Bild am Sonntag said close to 30% of Germans believe that the TV debate would have a strong impact on the campaign, while 52% thought it would only have limited impact. 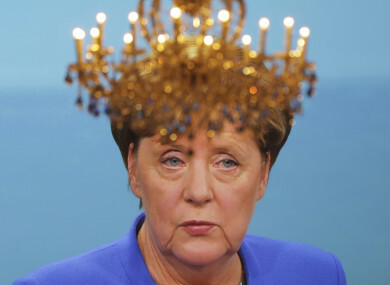 Having already fought three previous general elections, the famously cautious Merkel is no stranger to the TV format. But this was the first time that she has prevailed, with surveys immediately after each of the previous three editions showing a popularity bounce for her opponents. Email “Merkel on course for crushing election victory after rival 'hardly able to land a punch' in debate”. Feedback on “Merkel on course for crushing election victory after rival 'hardly able to land a punch' in debate”.